I picture a wild creature, lean and swift and tough, racing against the wind. And the mustang in this movie is just that…a wild young girl racing against her family’s attempts to tame her. Mustang is a beautiful film, submitted for a foreign film Oscar as a French/Turkish/German production. I had a lovely couple of hours at the Guild—the last time I was there was sometime in the 80s for The Gods Must be Crazy (Botswana). Once again I’m vowing to go often from now on. It’s like being a kid at the Royal Theater in Northome, Minnesota. 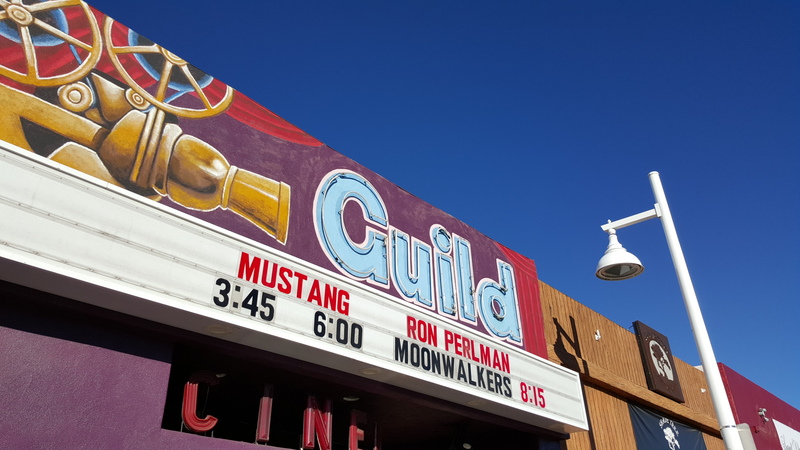 Mustang tells a straightforward story of female empowerment, but it’s the way it tells that story that makes it deserving of all the accolades it’s received, including an Oscar nomination for best foreign-language film. Though the movie has won (superficial) comparisons to The Virgin Suicides, it has a more distinctly female perspective and is too close to its subjects to feel voyeuristic. The trouble begins in the first 10 minutes of the film, when some nasty gossip and a misunderstanding turns innocent fun into a minor sexual scandal, leading the girls’ relatives to increasingly shut down their access to the outside world. The Turkish-born French director Deniz Gamze Ergüven balances out the film’s creeping claustrophobia with quiet (and not-so-quiet) acts of rebellion, unexpected humor, and warmth, and the result is a tender and fresh coming-of-age film that honors the bonds of womanhood and sisterhood without taking them for granted. Why do foreign films seem both more authentic and less real than those we make here? But then I am so very stupid about filmmaking although not about the stories they tell. Do other countries make more films on the locations where the story actually claims to take place? Somehow the locations seem to play bigger roles in the foreign film offerings. Loved Mustang. GIRLS RULE. Posted on January 18, 2016, in Living LIFE and tagged Atlantic magazine, films, foreign films, Guild Theater, Mustang the film, Oscars, Photography, Royal Theater in Northome Minnesota. Bookmark the permalink. 1 Comment. I enjoy your reviews very much, it saves me a great deal of money as I don’t have to pay to see them. I very seldom go anymore. I think it would be fun to do the same with Oscar nominated pics from the 1930’s and 40’s….I guess I live in the past…well, at least these two decades.